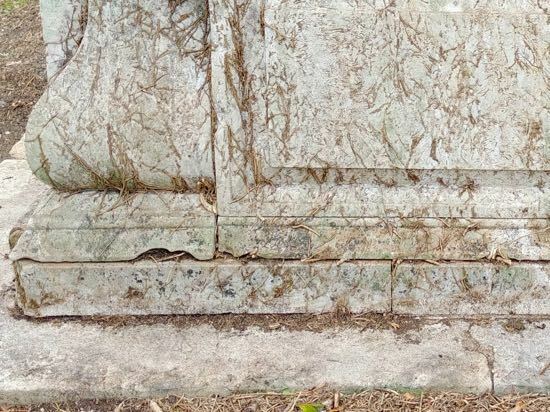 Piles of ivy lie alongside the tomb of a former vicar of St Mary’s, the Reverend John Alkin, who served the parish of North Mymms for the entire first half of the eighteenth century. 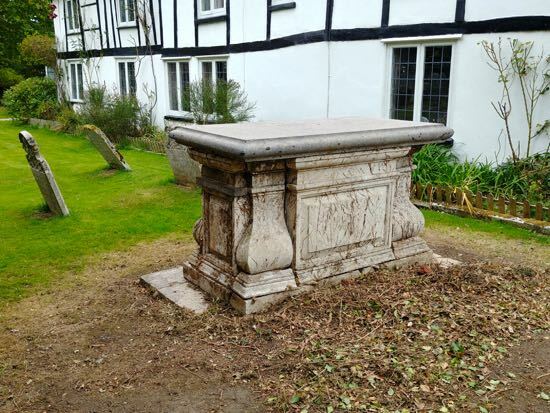 The monument, which is listed by Historic England and described as a 'Chest Tomb', is now visible; in August it was completely covered. 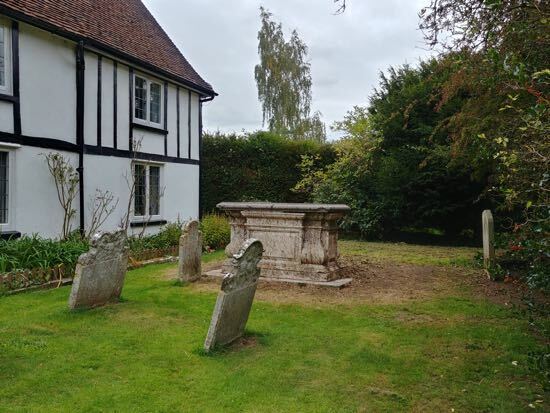 Attention was drawn to the spread of the ivy on August 11 when the North Mymms History Project was logging the 45 listed monuments in the parish. 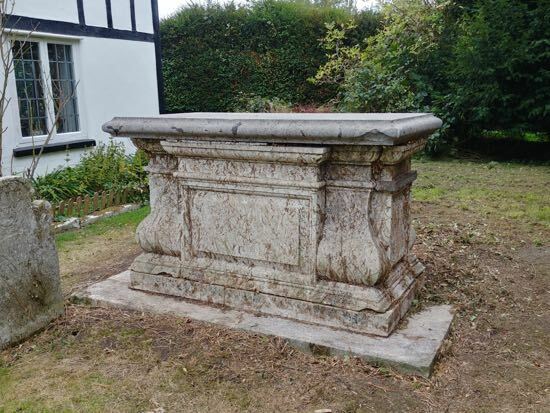 North Mymms News carried an article entitled Historical North Mymms tomb engulfed in ivy. 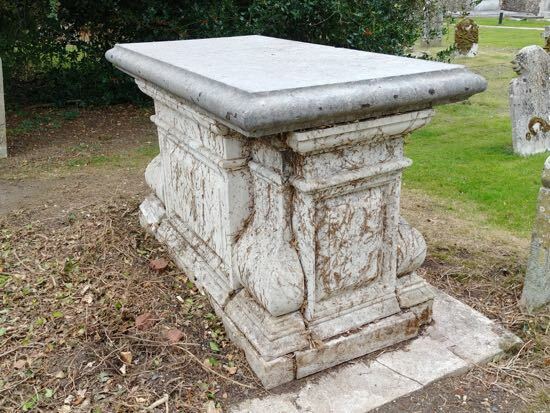 Earlier in the summer the restoration of another listed tomb in St Mary's churchyard was completed. 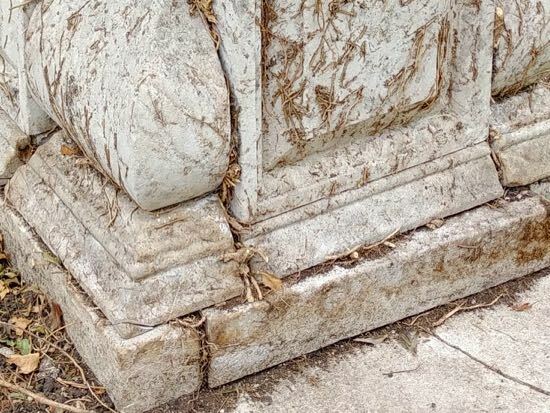 That repair cost several thousand pounds and took two years. 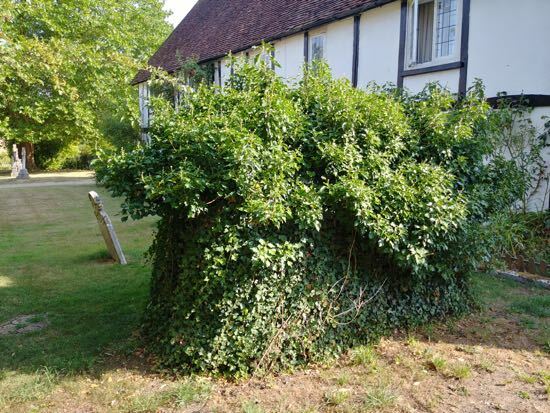 That, too, had been covered in ivy. 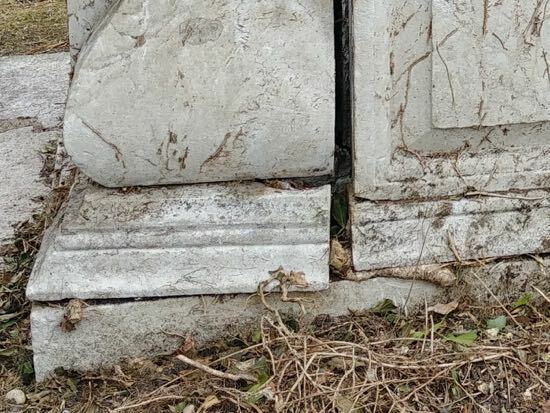 There were fears that the ivy covering the tomb of the Reverend John Alkin might have caused similar damage. Church officials at St Mary's decided to raise the issue of how to deal with the problem at the parochial church council meeting earlier this month. 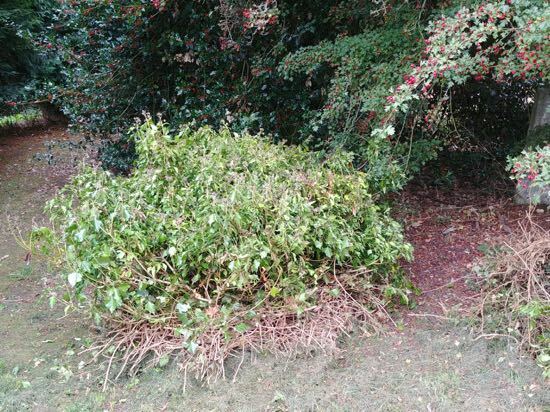 The damage caused by the ivy can now be seen. Tomb of "special architectural and historical interest"
"Chest tomb. C18. About 35 metres SE of E end of Church. Gadrooned corners. Fielded panels. 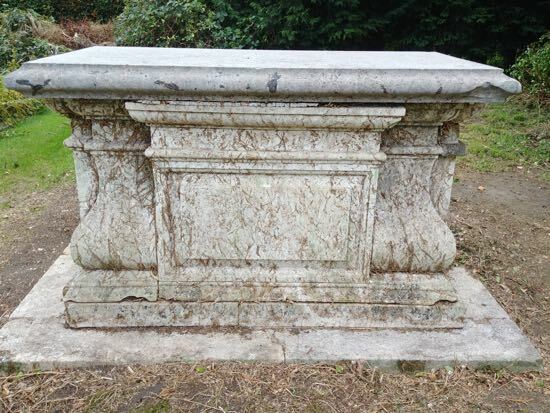 Moulded cornice." Now those details can be seen. 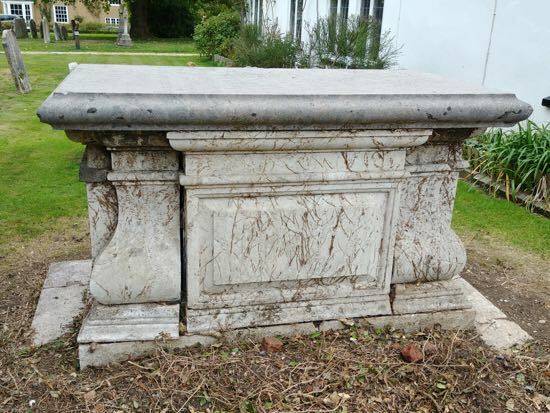 Below are more photographs of the tomb following the removal of the ivy.